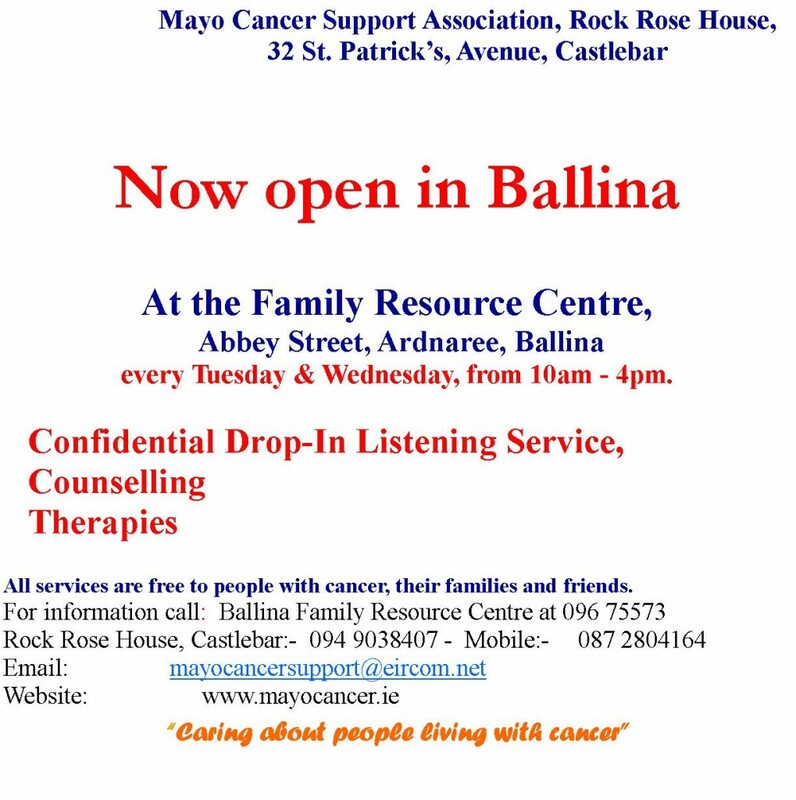 Mayo Cancer Support Association has a new service operating in the Ballina Family Resource centre every Tuesday and Wednesday from 10am to 4pm. The service offers confidential drop-in and listening service, counselling and therapies. For more information call 087 2804164.